Are you sick of me wearing this dress yet (worn here, here, and here; and in green sleeveless here)?! I'm sure my co-workers are! This dress is my go-to work party dress, so I knew if I wore it any more times, I needed to style it in a totally new way. 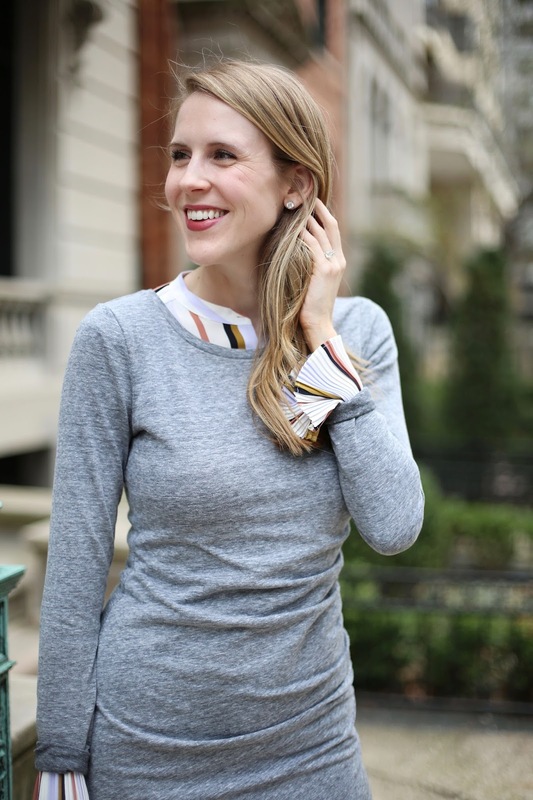 It's obvious I love the sleeve detail of this Ann Taylor striped blouse, so I thought - why not layer these two favorite pieces of mine to give the same old dress a whole new look?! I love how it turned out, and I will definitely be trying out other shirts (something with a fun collar?) with this dress!